Movies I don't need to see again. Follows a single mother who wakes up in a medical facility to find that everyone is dead and she's nine months pregnant. Dramatic, moving and deeply human, ARMSTRONG offers the definitive life story of Neil Armstrong: from his childhood in Ohio to his first steps on the Moon, and beyond. I started watching with no real hope for this film. While it is not the best movie out there by a long shot, it kept me entertained for the evening. The action is a bit slow in places, but it is still worth the wait. 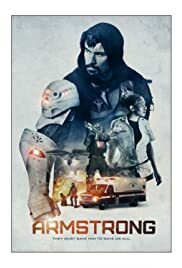 The characters are, perhaps, somwhat clichéd - the rookie EMT, the sour veteran EMT and an injured super-hero - but this doesn't detract from the telling of the story. The SFX and prosthetics were well realised and nothing was glaringly out of place within the storyline. Indeed, the entire movie requires little effort to enable the suspension of disbelief, and nothing in the presentation really damages that. Sadly, the scene at the end, while opening the way for a sequel, has virtually no explanation - it just IS.